Acrylic painting is one of most popular means of expression within generic art classes due to the paints’ durability, versatility and simplicity. But although acrylics and watercolours are both watersoluble, they possess vital differences. This means the preparation of different types of supports. What is the best art support required for acrylic painting? It is water based. You can thin this paint with water into watercolour-like washes, or you can apply the paint neat from the tube for impasto-like effects. Being a watersoluble paint, you require only water to clean the brushes. Once the acrylic paint is dry, it becomes water-resistant. This means the paint cannot be reworked. So you really need to get the effects desired before it dries. Depending upon the atmospheric conditions, acrylics will become touch-dry in around half-an-hour to a few hours. In very dry conditions, it could dry within a few minutes. Like oil paint, acrylic paint is essentially an opaque medium in that most of the colours have great covering power, although some pigments (like lemon yellow and ultramarine) are transparent by nature and require white to make it opaque. Acrylic paint is versatile, robust and forgiving. However, you need to avoid storing acrylic paintings in very cold conditions as the paint (could, but not always) crack. Although this medium is robust, the proper preparation of the art surface is required prior to painting, particularly if the painting is to be an ambitious project. This will prevent problems arising in the future. Like with oil paint, I would personally ‘seal’ (or size) the art surface (known as a ‘support’) prior to applying the acrylic paint. Paper or card can be used for acrylic painting, but having absorbent properties will cause the paint to dry too quickly and the paper to buckle. This is why I would apply a thin coat of acrylic primer beforehand. Many supports are suitable for acrylic painting, which includes thick paper, watercolour paper, card, board, hardboard, MDF and stretched-canvas. For convenience, ready-sized surfaces such as Daler-boards and sketch pads can be purchased from art shops. However, if you wish to prepare your own art surface and save money, you can purchase a tin of white primer, (in art shops known as ‘acrylic gesso’). 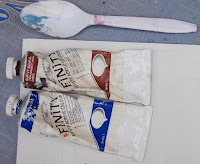 Acrylic gesso is merely white pigment suspended in a polymer. One coat applied via a wide brush is all that is required. If priming paper or card, clip it onto some backing-board to minimize buckling. The surface will flatten out once dry. Clean the brushes immediately afterwards as the paint dries water-resistant. 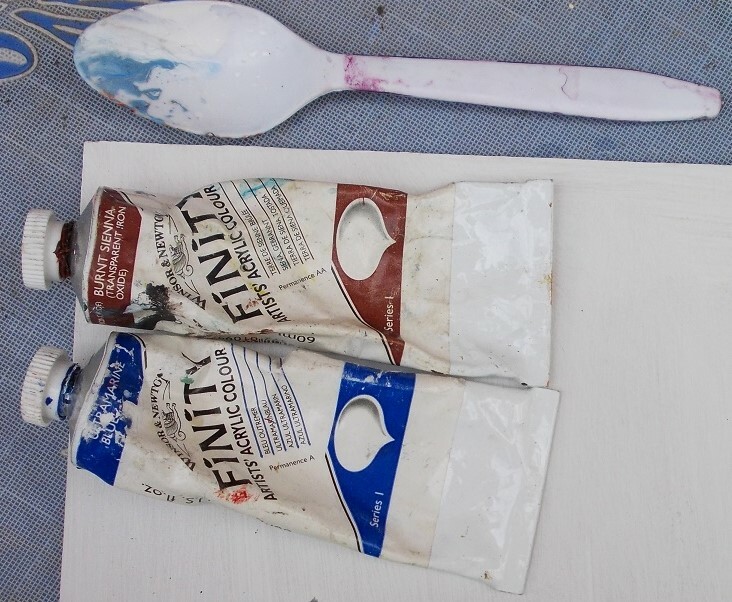 If you are conducting a few rough acrylic sketches, you can cut cost by purchasing a tin of good quality white emulsion paint from a DIY store instead. A large tin will last years. Save the acrylic gesso for the finished works. If you wish to render a highly-expressive artwork, then coarse canvas will provide the ideal weave on which to allow the acrylic paint to ‘skid’ over the surface. This might be ideal for impressionist-type landscapes or sea studies. Cold pressed paper (or ‘Not’) can also be used, as this type of watercolour paper has a pleasing rough texture. Highly detailed acrylic paintings will require smooth surfaces such as card or hot-pressed paper (or HP paper). You may prepare hardboard by sanding the surface with fine glasspaper before applying a thin coat of acrylic gesso. The gesso may ‘burr’ up once dry. Sand lightly and apply another coat for an extra smooth surface. For a fine texture, you may also used fine canvas. Acrylic paints are a popular medium as they require few associated mediums and are water-soluble. However, proper preparation of art surfaces is needed before applying this paint. Many different types of supports can be used for acrylic painting, including paper and wood. Although you may paint straight onto these supports, I would size it beforehand. Acrylic gesso can be used, but for quick sketches, a good-quality emulsion can be applied instead.